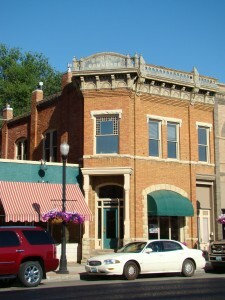 Built in 1892, the Bank of Commerce was located here from 1894-1904. 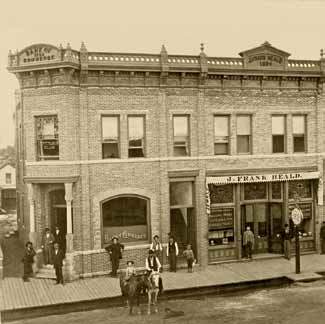 The bank and the building to its north were built in 1894 as a block through an agreement with the bank and J. Frank Heald, a jeweler who came to Sheridan in 1887. 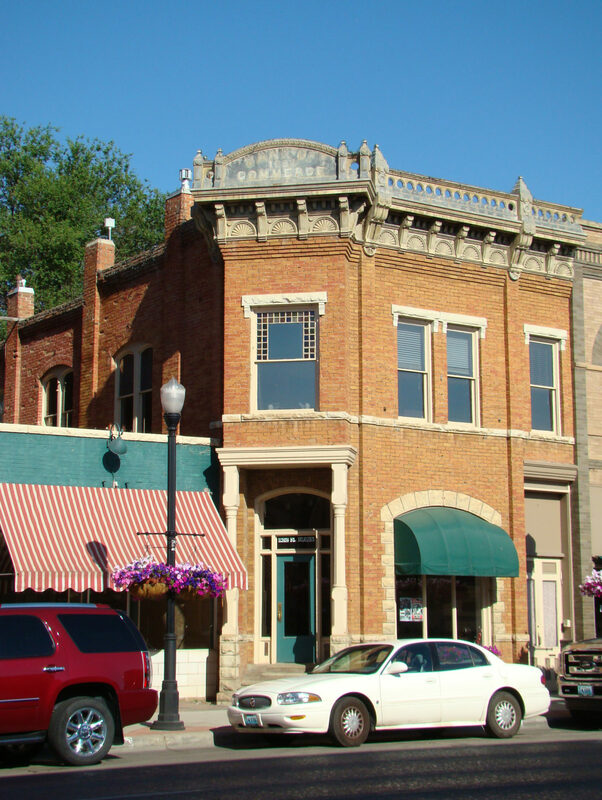 It contains elements of the Beaux Arts Style, including the projecting pavilion entrance with columns.